Sand Photo albums from Bali Indonesia made of carton paper, leaves and white sand. Handmade stationary made by photo albums factory and manufacturer company. Sand albums from Bali by Balinese photo album craftsmen buy photo albums and photo frames wholesale direct from photo album producer in Bali. Painted Sand Photo Albums from Bali by CV MAYA Catalog of Bali Natural Photo Albums. Photo albums from Bali. Handcrafted natural books from Bali. Natural books including all kind of stationary made of natural materials including banana skin leaves with other organic materials. 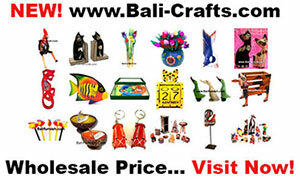 All handcrafted in Bali Indonesia by skill photo albums craftsmen. Stationery including photo albums, notebooks, journal and phone books. We're able to make this natural stationary with almost any kind of design. Simply email us your design, we'll make it for you. Buy natural albums direct from the manufacturer in Indonesia. Handmade photo albums. All hand made in Indonesia. Coconut bowls from Indonesia. Coconut shell bowls from coconut crafts factory in Indonesia. Coco bowls wholesale price. Import coco shell bowls direct from factory Indonesia and enjoy our best price. Handmade and 100% real natural coconut shell bowls suitable for vegan food or breakfast. Durable and lightweight, all natural materials, food safe and Eco-friendly. Our Company Located in Denpasar Bali Indonesia. We wholesale teak kitchenware Indonesia.